Film following Chinese teenagers inside a Beijing rehabilitation centre for internet addicts, in an examination of a technology-addled generation on the edge of an unknown future. 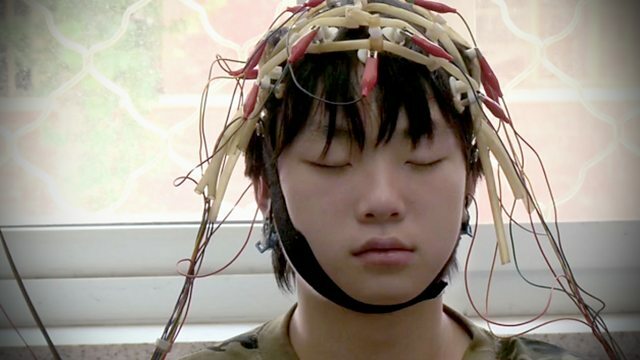 Documentary which follows three Chinese teenagers inside a Beijing rehabilitation centre for internet addicts. China is one of the first countries in the world to label overuse of the internet a clinical condition. To combat what authorities deem the greatest social crisis for youth today, the Chinese government has created treatment facilities to detox and cure teenagers of their online addictions. With extraordinary access, the film shows how the teens are lured to the centre against their will by anxious parents and must endure the military boot camp conditions combined with intensely emotional counselling sessions. It documents how the boys begin to share with the health professional and their parents the reasons why they feel more connected to virtual life than their families. A thoughtful examination of a society in flux and a technology-addled generation on the precipice of an unknown future. The most important aspect in our view is definitely the story. Obviously technology, in particular the Internet and social media in general, has come to occupy a massively significant role in our culture and internationally. It has become abundantly clear that we are in some senses more connected to technology than ever but somehow simultaneously isolated. We were absolutely taken by this dichotomy and spent a lot of time reflecting on the concept that technology had become the architect of our intimacy. We discovered that China was among the first countries to label “Internet addiction” a clinical disorder. Moreover that throughout China there are more than 400 treatment programs. China is a mirror to global phenomena that we felt needed to be explored. It took us 4 years to complete the film. One of the most surprising and rewarding things to us was that we were able to create an intimate dialogue with our characters. This was a major concern for us as we embarked on this journey to a place so culturally ‘closed’ and so different from our own. We screened the film around the world including Russia, Hong Kong, US, UK, Israel, Germany, among many other countries. What is most interesting is that regardless where the film was shown, all the different audiences identified with the issue raised in the film and felt it was a universal phenomena and not only a Chinese story. At some screenings people shared personal experiences, describing someone close to them who is dealing with Internet Addiction. Shosh: Shoah by Claude Lanzmann and Bowling for Columbine directed by Michael Moore. Hilla: Harlan County USA by Barbara Kopple, and most recently Stories We Tell by Sarah Polley. Hilla: Variety, Hollywood Reporter, Indiewire, D-word. And in Israel Avner Shavit and Yair Raveh of Cinemascope. Love your characters, be loyal to them and never give up on your journey, no matter how many challenges are thrown at you. Always persevere. Shosh: I am interested in international social issues and social progress. As such, I would of love to make a film about the first and second generation survivors of the Cultural Revolution in China. Hilla: If I had all the money in the world, there are so many stories I would like to tell, that I feel are very important to tell and that need to be given a voice. Money is always a struggle in documentary filmmaking, taking it out of the equation would allow me to focus on telling all of these stories. Theodoros Angelopoulos The Travelling Players. We have both made films in the West Bank and that has definitely been the most challenging area to shoot in, access wise.